there are three levels of deterrence. Deterrence levels are measured based on the cognitive assessment and the emotional experience the adversary will undergo when facing the security system he is about to attack. Level 1 has low deterrence factors because it uses technological and automated systems as obstacles. 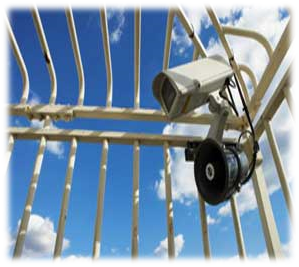 The main idea behind a technology based security system is that the more obstacles one integrates into the security system the less attractive the target becomes. However, each technological or physical obstacle can be learned and eventually exploited or overcome. And if throughout the adversary’s learning process (intelligence gathering), he is not approached and questioned by anyone then it is a clear indication to him that he can continue to test the system until he finds the right hole in the fence. Technological and physical security obstacles also hinder on the law abiding citizens who must go through a security process that is very cumbersome, automatic and time consuming. Level 2 has higher deterrence factors than Level 1. This is because unpredictability creates doubt in the mind of the adversary. This doubt in turn creates fear because most people tend to be afraid of what they can’t see, what they don’t know and what they can’t understand. 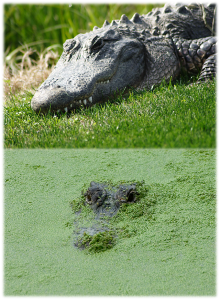 Consider a person walking through a Florida swamp. This person is more afraid of the alligators in the swamp that he can’t see than the ones he can (and therefore able to avoid). In a similar way, an adversary that cannot identify the security forces and the capabilities of the security system will find the target extremely challenging and intimidating. On the other hand law abiding citizens will not be bothered by security measures which are undercover, sporadic and are not intrusive or time consuming. Level 3 is the most deterring because it creates panic in the mind of the adversary. An adversary that is questioned and found to be suspicious by a police or a security officer will find the experience extremely intimidating and offensive. On the other hand, all law abiding citizens who are being questioned as part of a security procedure will find security questioning to be an easy and an appreciated security experience to go through. Excellent; too many times organizations count on technology for their security, not understanding that people make the difference. Another well thought out and articulated article. It seems that a blend of all 3 levels of deterrence can be used seemlessly with a majority focus on level’s 2 and 3. The problem with Level 2 & 3 security systems is the cost factor. An ongoing cost to employ the personel and maintain their training whereas Level 1 is an initial outlay and then maintenance costs. But as can be seen via news footage of some CCTV systems of crimes in progress etc, cost factor still plays a major factor even in Level 1 by not maintaining the equipment. It would be good to see businesses and Government implement Level 2 & 3 arrangements to prevent any attack. But alas, I’m sure this will not happen till after the system fails.